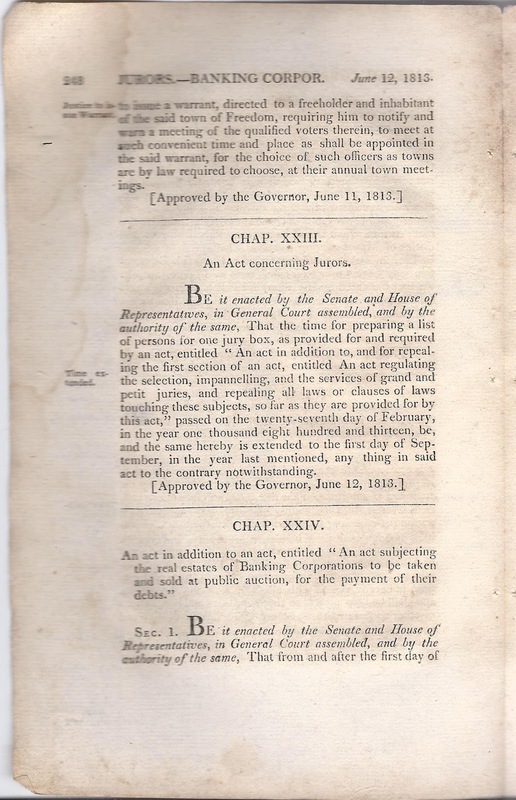 Approved by the Governor on June 11, 1813. 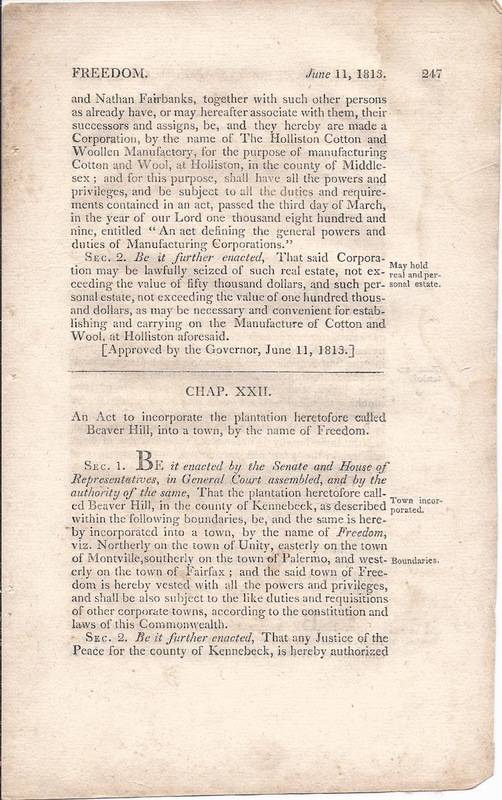 An Act to incorporate the plantation heretofore called Beaver Hill, into a town, by the name of Freedom. Sec. 1. 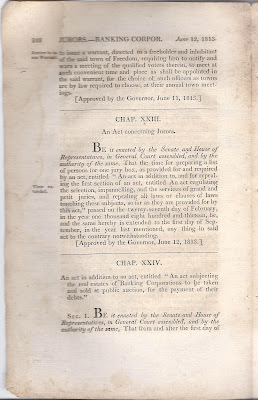 Be it enacted by the Senate and House of Representatives, in General Court assembled, and by the authority of the same, That the plantation heretofore called Beaver Hill, in the county of Kennebeck, as described within the following boundaries, be, and the same is hereby incorporated into a town, by the name of Freedom, viz. Northerly on the town of Unity, easterly on the town of Montville, southerly on the town of Palermo, and westerly on the town of Fairfax; and the said town of Freedom is hereby vested with all the powers and privileges, and shall be also subject to the like duties and requisitions of other corporate towns, according to the constitution and laws of this Commonwealth. Sec. 2. 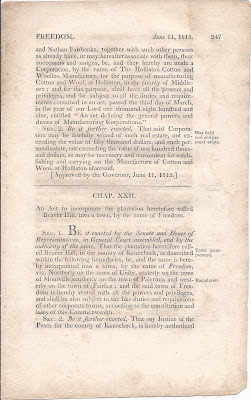 Be it further enacted, That any Justice of the Peace for the county of Kennebeck, is hereby authorized to issue a warrant, directed to a freeholder and inhabitant of the said town of Freedom, requiring him to notify and warn a meeting of the qualified voters therein, to meet at such convenient time and place as shall be appointed in the said warrant, for the choice of such officers as towns are by law required to choose, at their annual town meetings. 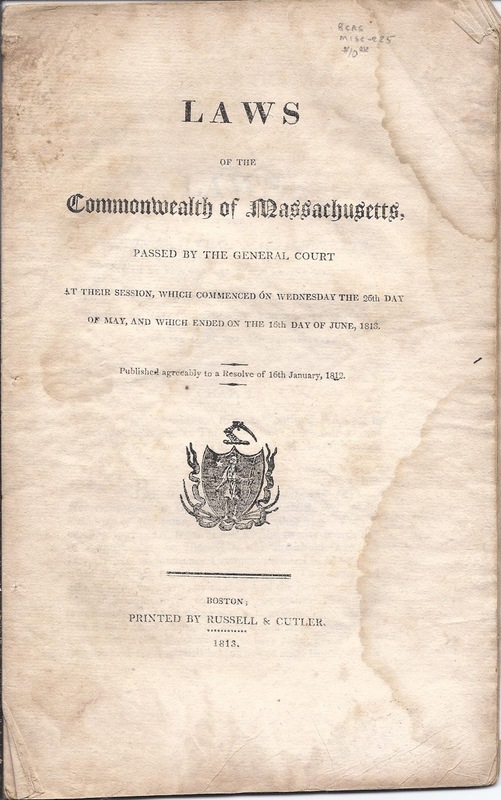 Note: The Town of Fairfax, incorporated in 1804, changed its name to Albion in 1824.